Professional and executive programme result of the Institute of Company Secretaries of India (ICSI) is going to be released tomorrow, that is on August 25, 2018. The exam was computer based which was conducted in the month of June. The result of the professional exam is expected to be declared at 11 am while the result of the executive programme will be published at 2 pm by ICSI. The result will be available on the official website of ICSI. 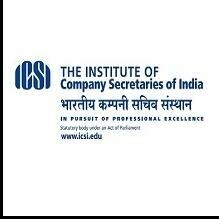 Also, the names of the toppers will be available by 2 on the official website of ICSI. Foundation Programme can be pursued by 10+2 pass or equivalent students of Arts, Science or Commerce stream (Excluding Fine Arts). Executive Programme: August 31, for appearing in both modules in June Exam in the next year. The Institute of Company Secretaries of India (ICSI) is constituted under an Act of Parliament i.e. the Company Secretaries Act, 1980 (Act No. 56 of 1980). ICSI is the only recognised professional body in India to develop and regulate the profession of Company Secretaries in India.